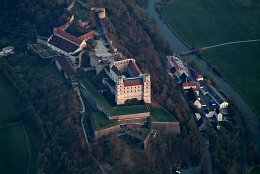 The Willibaldsburg, near Eichstätt in Bavaria, was built up in 1353. The castle is located in the valley of the Altmühl river. The archbishops of Eichstätt used it as representative castle until the 18th century. 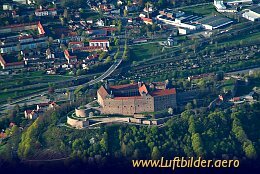 Plassenburg Castle in Kulmbach is one of the most impressive castles in Germany. It was first mentioned in 1135. Since 1340 it is in possession of the Hohenzollern family. Monastery Ottobeuren was founded about 764. The monastery state was independent within the boarders of the German empire. In 1802 it came to Bavaria. The monastery is still active. 24 monks are living there.